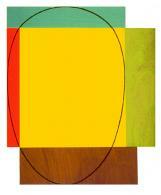 American artist Robert Mangold enjoys a well established career in the world of modern art. 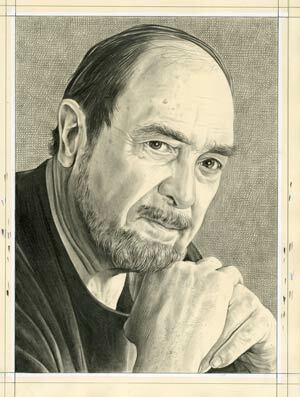 Since starting his career in the 1960’s, his work has received great praise from both critics and fellow artists alike. His paintings are known to create a feel of architectural fascination, often making use of contrasting colors and shapes to draw the viewer in with a unique perspective that focuses on the placement of lines, shapes and color relative to each other. Mangold was born in 1937 and resided in Buffalo, New York during the early years of his life. He first attended the Cleveland Institute of Art, having been enrolled in the illustration department, he soon decided to change the course of his studies and transferred to the fine arts department instead. While studying at the institute, he travelled to see exhibitions by various artists, whose work left him with a lasting interest in abstract expressionism. 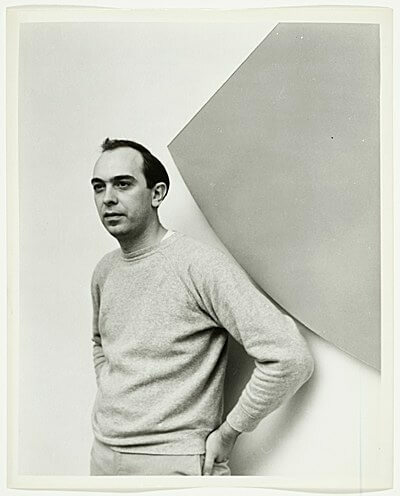 In 1963, Mangold graduated with an MFA at the Yale University School of Art and Architecture. Mangold moved to New York with his wife, artist Sylvia Plimack Mangold, after completing his studies at Yale, having taken a position as a guard at the Museum of Modern Art. At the museum, Mangold met many people who greatly influenced the early stages of his career. His colleagues included artists such as Sol LeWitt, Robert Rymen and Dan Flavin. Together, Mangold and his colleagues formed a community, visiting each others’ studios and sharing ideas, forming minimalist ideas and developing their unique styles. One of Mangold’s early accomplishments was his first solo exhibition, Walls and Areas, in 1965 at the Fischbach Gallery. 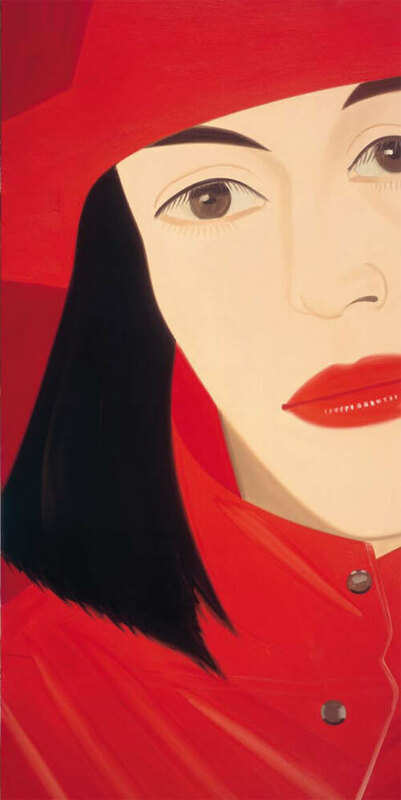 The exhibition boasted large paintings that were painted on Masonite and plywood, which Mangold used instead of ordinary canvases at the time. 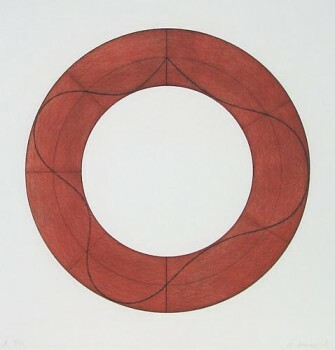 In his second solo exhibition, also held at the Fischbach Gallery in 1967, Mangold experimented with segments of circles. Mangold’s work also featured at various group exhibitions including Systematic Painting, held at the Solomon R. Guggenheim Museum in 1966, and Primary Structures, which was held at the Jewish Museum in 1967. In 1971, he had a solo exhibition at the Guggenheim Museum. There are various other noteworthy occurrences that have taken place during Mangold’s career. For instance, he was asked to design the colored glass panels in The Buffalo Federal House. He also received a fellowship from the John Simon Guggenheim Memorial Foundation in 1969, with which he and his wife decided to build a house in the Catskills when they were starting a family. In the earlier stages of his career, Mangold’s work was always done in pencil and oil paint, on either Plywood or Masonite. In the later years, however, he started working with acrylic paint instead, and he has made use of canvases instead of the more industrial materials he had previously worked on. 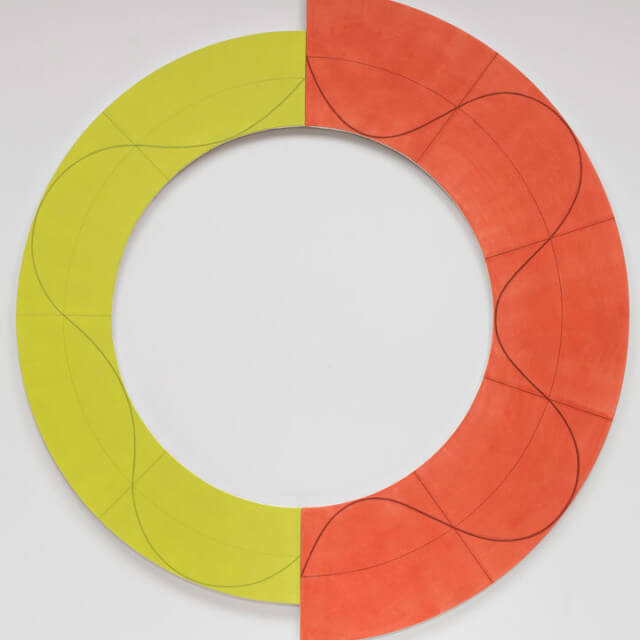 Mangold became known for his use of shaped canvases, often creating works of art that weren’t merely square, but that incorporated the shape of the piece in order to enhance the painting. For instance, in his 1983-1984 exhibition at the Paula Cooper Gallery in New York, titled Frame Paintings, the artist used canvases without centers – creating, as the name of the collection implies – paintings that were shaped like frames. 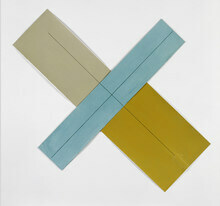 Mangold has also experimented with other shapes, such as slanted paintings. While he has developed the concepts upon which his work is based, it’s always featured strong geometrical themes, and many of his collections are dedicated especially to exploring certain shapes. 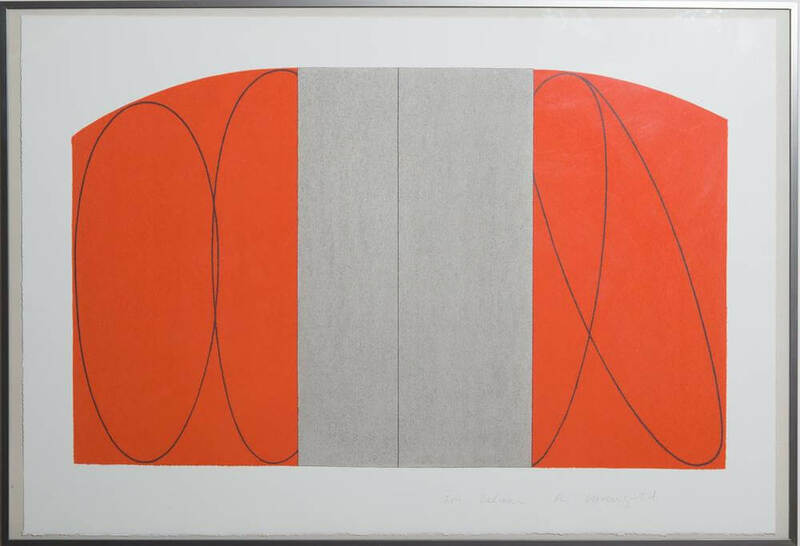 Such as as his series, Ellipses and Frames, where he focused on creating works that featured round shapes on canvases that were shaped like frames. 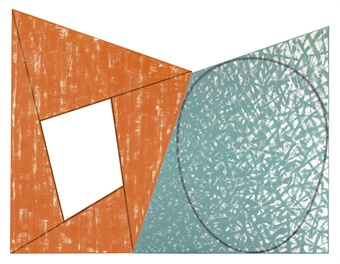 Many of the canvases were slanted and bolted together to create diamond shapes that were combined with rounder shapes that Mangold himself has described as looking like heads, or egg shapes. Another way in which he’s used the elliptical shape and combined it with a frame, was by doing round paintings without centers, creating works shaped like rings. Mangold has also made use of plus and X shapes in other works, bolting together canvases to create these shapes in various ways. Often combining different colors of paint for creating the shape of a cross. Mangolds’ work will have a lasting impression on the development of modern art in America and the world over. His use of shapes to create an architectural presence and a deep sense of spacial awareness has been one of the most outstanding features of his art. 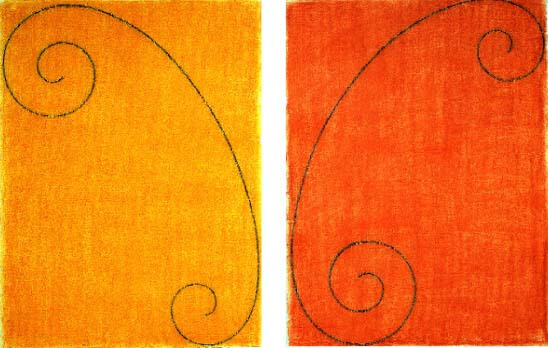 While Mangold’s work is viewed as minimalist art, he has said that he doesn’t identify completely with the term, stating that it creates an idea of being overly simple. Nevertheless, his work has largely impacted the minimalist movement. His focus on shape and color for its own sake is what has made his work stand out, not incorporating various abstract ideas into his art, but allowing it to speak for itself. This is perhaps been one of the most profound elements of his paintings, the beauty they create as objects that are made not to bear similarity to anything in nature, but to explore our perception of space and the world around us. Robert Mangold, 1968 / John A. Ferrari, photographer. Fischbach Gallery records, 1937-2015, bulk 1963-1977. Archives of American Art, Smithsonian Institution. Pastel and pencil on watercolor paper, 30¼ x 50½ inches. Portrait of Robert Mangold. Pencil on paper by Phong Bui.